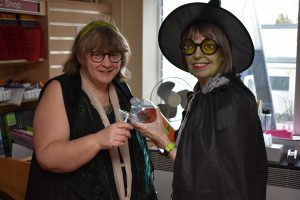 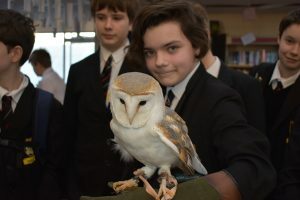 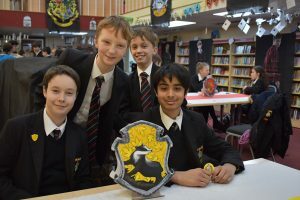 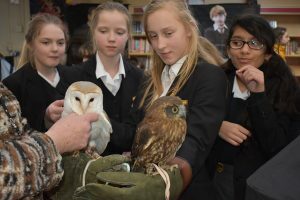 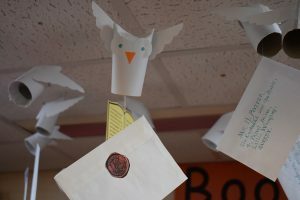 Our school library ran another of their popular after-school events on Thursday 7 February for Harry Potter Book Night. 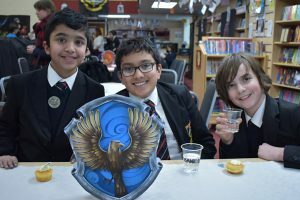 The LRC was transformed into the world of Harry Potter and Year 7 were invited along to experience it. 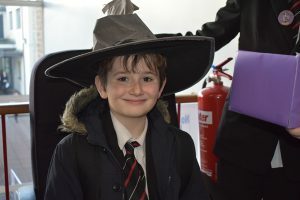 They were all allocated a house on their way in by the sorting hat and took part in quizzes and competitions. 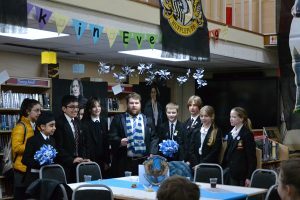 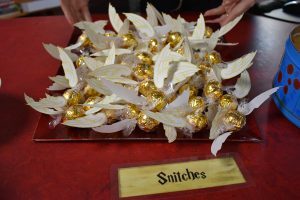 Congratulations to Hufflepuff who won the Quidditch chant competition and Hannah Bowen-Hunt and Annabelle Homewood who won the quiz. 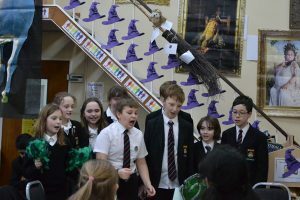 Congratulations to Mrs Thompson and Mrs Drage for organising another exciting event, many thanks to all the teachers and older student helpers. 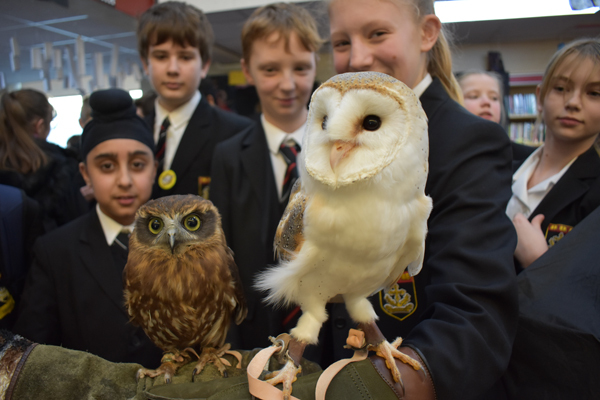 And a very big thank you to Mrs Jones, our Catering Manager, who brought along two of her beautiful owls.